This column was meant to be about the lessons learned during a tumultuous 2013 for North East football. Supposed to be, that is, before the realisation that trying to take anything from a contrary 12 months is almost utterly futile. When you’ve expected clubs to prosper, they’ve let you down; when Newcastle, Sunderland and Alan Pardew appeared to be on their knees, that was when they produced their best. Take Tuesday night’s remarkable Capital One Cup clash between the Black Cats and Chelsea. At 88 minutes my match report intro read: “Sunderland continue to be their own worst enemies in the battle to salvage this wretched season.” Half an hour later we were contemplating being 180 minutes from Wembley; potentially 270 minutes from a first foray into Europe for nearly 40 years. What to take from that – apart from a reminder not to be so trigger-happy with my laptop next time? All of that in a year when Ellis Short’s judgement has been so reckless that you wondered who exactly was whispering in his ear at key times. 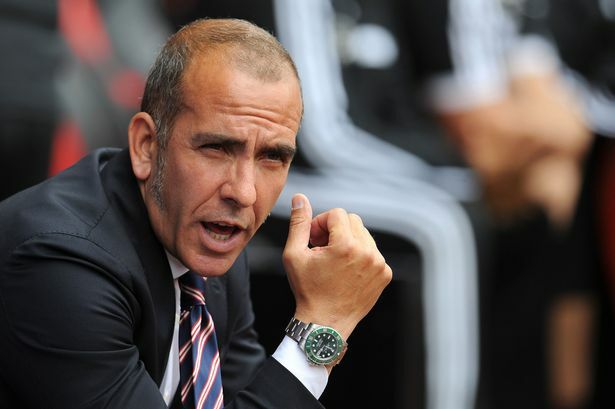 Paolo Di Canio may be but a distant memory for Stadium of Light dwellers, but his appointment remains the single worst bit of judgement since Lawrie McMenemy was handed the keys to Roker Park. It says something that it wasn’t even the worst, most damaging decision of this Premier League calendar year in the North East. That went to Mike Ashley, who decided in his wisdom to hand Joe Kinnear a position of authority and an executive salary – managing to erode any benefit of the doubt that he might have been granted during two up-and-down seasons. Yet by the end of the year Newcastle find themselves right back where they were in 2011, with a squad full of saleable assets, a lofty position in the Premier League and a manager and players consistently getting it right when it matters. That despite Kinnear matching the low expectations in a summer of bluff, bluster and bunkum. It seemed like a recipe for disaster but they have emerged from it. There is no secret to it, just a dove-tailing of very good players getting it right and a manager who has re-affirmed his credentials as a top-flight boss. And fair play to Pardew, who has proven a fair chunk of his doubters to have been too hasty in writing off his St James’ Park career. It is always harder to recapture form after a few years in a job than it is to inspire an upturn in it when you’re newly appointed and plenty felt that he wouldn’t be able to do it. Some of those, it must be noted, came from inside the game and you suspect that Ashley himself needed convincing after a 2011/12 season that plumbed the depths at times. To develop a system, inspire a return to form for key men like Cheick Tiote and bring together a Gallic squad with the spectre of Kinnear looming over him has convinced this correspondent that the legitimate questions being asked at the end of the season have been answered. The best you can say about United’s director of football is that he is not someone who interferes or meddles. I’m still yet to see firm evidence of what he actually does well but at least someone at Newcastle has heeded Ashley’s call to protect him from himself. So much so that I could have sworn I heard a caller to BBC Newcastle’s Total Sport show on Tuesday ring up in praise of Kinnear. It’s been that kind of year. While Newcastle have a shot of the Champions League and Sunderland stand on the cusp of Wembley, the year has taught us to expect nothing but the unexpected. At least in Pardew and Gus Poyet, there is some optimism that both clubs are in safe hands.